The Rolling Stones will play the Glastonbury festival this year, according to Kasabian’s Sergio Pizzorno. The guitarist spoke with MTV UK about Kasabian’s headlining appearance at London’s Hard Rock Calling event on June 29, which happens the same weekend as Glastonbury’s finale. 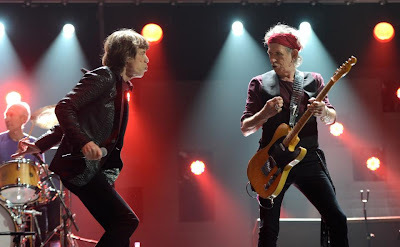 The Stones have not confirmed any 2013 dates as of yet, although guitarist Ron Wood recently said the group was going to meet this month and that he is planning to persuade the rest of the band to headline Glastonbury this year.